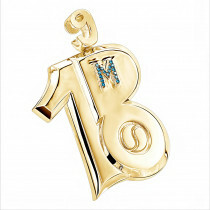 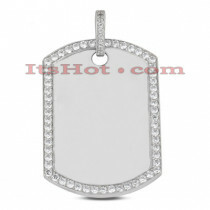 This fully customizable (any number or initial can be put on it) unique 14K White Yellow Diamond Number 10 Dog Tag Pendant showcases 1.60 carats of sparkling white and fancy yellow round diamonds, each masterfully prong set in a lustrous gold frame. 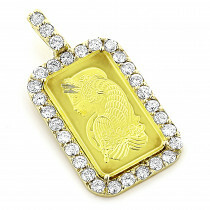 Featuring a number 10 in canary yellow diamonds in the center and an outline in white diamonds, this fantastic diamond dog tag pendant is available in 14K white, yellow and rose gold; and is fully customizable. 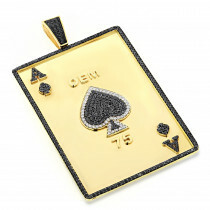 This diamond dog tag pendant can be manufactured on per order basis with any color diamond combination, including fancy black, canary yellow, glacier blue, chocolate, green, cognac, baby pink, and red diamonds. 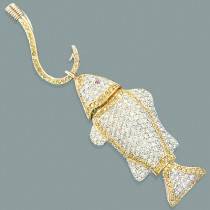 Call us today to see how you can design your very own, one of a kind piece of diamond jewelry. 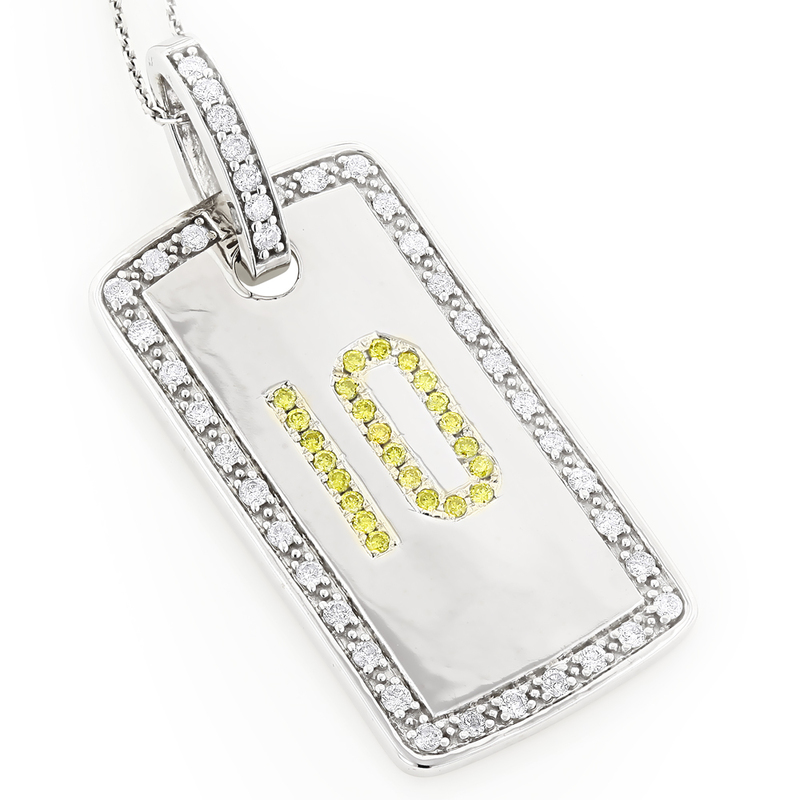 Q: How do I order the number 10 dog tag with all the 1.60 diamonds including the ones that make the 10 out of sparkling white diamonds ? 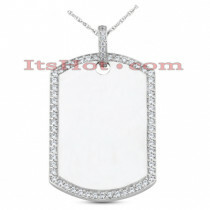 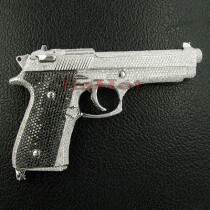 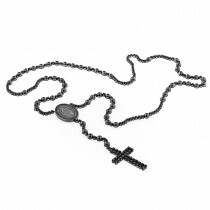 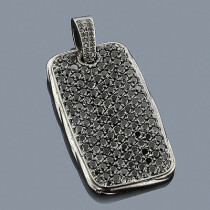 A: Please add the pendant to the cart and click on "Proceed to checkout" button which will get you to the checkout page. 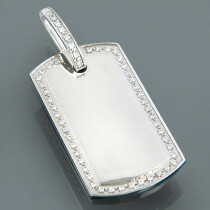 There will be "Additional Instructions" field, please make a note there that you would like this dog tag with all white diamonds.